When a New Jersey driver is arrested and charged with the traffic offense of driving while intoxicated, there are many things to consider. With the penalties that accompany a conviction as well as the long-term damage it can do, it will benefit a driver to do whatever is possible to have gain an acquittal or have the charges reduced or dropped. It is important to know and understand the entire process of a DWI arrest to have an idea how to spot and use a mistake made by the officer to benefit the defendant’s case. One of the potential openings for a defense attorney involves examining the charging documents and looking for errors. 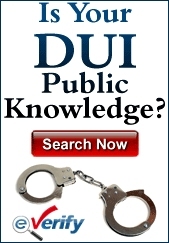 When a law enforcement officer makes a stop investigating a possible DWI, there must be probable cause for it. That means the officer must have witnessed something like a traffic violation, dangerous or questionable action to justify it. If another driver calls in a complaint about another vehicle moving erratically, this too is enough to make the stop and investigate. When the officer interacts with the driver, telltale signs of intoxication will be watched for. This will include slurred speech, glassy eyes and the smell of alcohol. After that, the officer will ask the driver to take field sobriety tests. These will include the Walk and Turn test, the Horizontal Gaze Nystagmus test and the One-Leg Stand test. Then, the officer will ask the driver to take a breathalyzer test. If the breath test registers 0.08% or above for a driver 21 or over, there will be an arrest for DWI. For a driver age 21 or over, a BAC of 0.08% or above will result in a DWI arrest. If the driver is under 21, the BAC must be 0.01% or above. 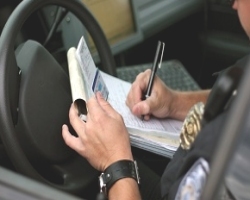 A commercial driver will face arrest if the BAC is 0.04% or above. If there are higher levels of alcohol or if the conviction is a second DWI offense or third offense, the penalties are much worse than they are for a first offense with a BAC of 0.08% and less than 0.10%. For a driver who is facing a first time DWI arrest with a BAC of 0.08% and less than 0.10%, the penalties are fines, surcharges, a driver’s license suspension and possible jail time. There will be a fine of $250 to $400. The driver’s license will be suspended for three months. $230 will be paid to the Intoxicated Driver Resource Center (IDRC). $100 each will go to the Alcohol Education and Rehabilitation Fund (AERF) and the drunk driving fund. $75 will go to the Neighborhood Services Fund. There can be up to 30 days in jail. A surcharge of $1,000 will be levied on an annual basis for three years. When the defense attorney is preparing the case, the documents from the arrest will be provided. This is a process known as discovery. The arrest reports, blood and breath tests and anything else related to the arrest will be in the documents. When going through the documents, any error can be used to set the foundation for a defense or to get the charges dismissed.